SESSIONS AND PARTIES CAN USE THIS SERVICE. CONTACT ME TO TELL ME THIS IS YOUR PREFERENCE. I WILL DIRECT YOUR PAYMENT. ALL PHONE CALL SERVICES ARE TO BE PREPAID. NO EXCEPTIONS. 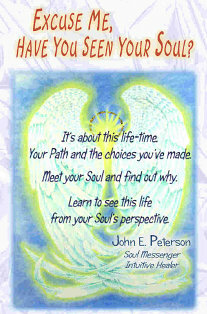 As a listener of the Soul, I have heard a basic theme come in underlying your Souls' connection. 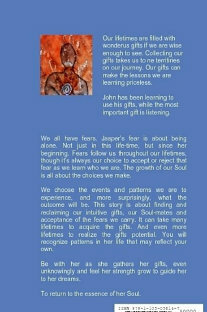 I have presented these ideas for thought and to give you a new perspective of the Soul. 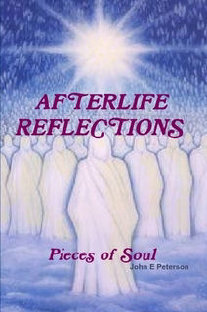 These books offer a basic understanding of what the Souls' memories look like and how the existence of us is a collection of many Souls' lifetimes. To order a book, just email me with your contact information. Either book: $10.00 tax included. Add $2.00 for mail service. If you'd like your site posted here, send me the link in an email. You can find me here too! !